Shipping : Express delivery is available for Melbourne & Sydney Metro Area Mon-Fri only. 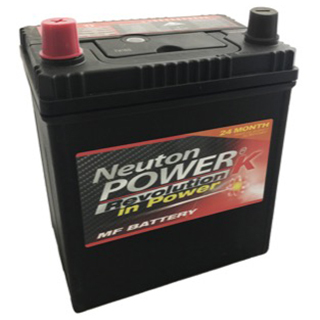 Made by Neuton Power, one of the World’s largest manufacturers, we sell these in volume so that we can offer you incredible value-for-money for a high power, high quality sealed maintenance free battery, complete with a 24 Month Warranty. Completely Maintenance-Free: Sealed so you can “fit and forget”. Full 2 Year Replacement Warranty. High Power Output (High Cold Cranking Amps - CCA). Built-in Indicator for state-of-charge (“magic eye” changes colour). Our “No-quibble” 30 day money-back Guarantee. Choose your fitting option & select Store pickup or delivery above. Please include your phone number on the order form. Click here to find other batteries which may be suitable for your vehicle. 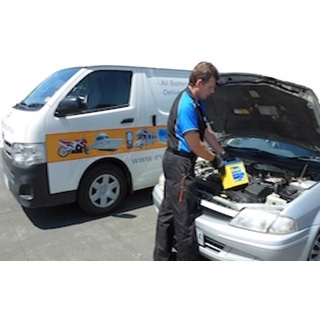 1 Hour Roadside Fitting Service (Marshall / Exide Batteries only): Details Here. For item specific rates please see details at the top of the page. Freight is available Australia wide, but remote regions (FNQ, NT, Regional WA, etc) will need a special quote for many items (heavy and dangerous goods) - please call 1300 123 228. All goods are marked "Authority to Leave" unless customers specify otherwise. Please remember that lithium batteries and heavy items such as car batteries and deep cycle batteries, travel by road only and therefore can take longer than airmail items.